Zagreb 360, also known as Zagreb Eye, is an observation deck and a Viewpoint Bar. It is situated on the top floor of iconic Zagreb Ilica Skyscraper. As a result, it offers amazing panoramic views of Zagreb. TIP: EXPERIENCE A BIRDS EYE VIEW OF ZAGREB. THE ZAGREB ILICA SKYSCRAPER WAS THE TALLEST BUILDING AT THE TIME IT WAS BUILT. HANG OUT BEFORE DINNER AND ENJOY DUSK VIEWS OF ZAGREB! Zagreb 360 offers a covered terrace with a breath-taking 360-degree view. It is accessible to people with disabilities and it is family and pet-friendly. With the intention to offer the best experience and views, they have binoculars available! 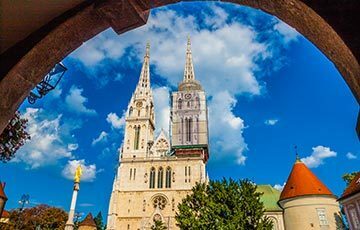 Not only will you enjoy amazing bird’s eye views of Zagreb, but also they offer free WI-FI and a mobile phone charging station. Zagreb 360 is a perfect place for a break. You can relax while your kids can play with numerous fun board games are prepared for them. Remember, the tickets are valid for the whole day. Seeing that, you can visit multiple times during the day. 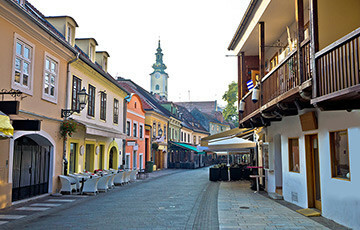 Zagreb 360 can accommodate business meetings and events. At the Zagreb 360 Bar, you can enjoy drinks at regular Zagreb prices. Take a break, as they offer free WI-FI and charge your phone if necessary. A great spot for a drink at any time of day. From morning coffee to a glass of wine or two as dusk falls over the rooftops below. Piano Live music is every day from 6 PM to 10 PM. Tickets are valid during the whole day but are not transferable. 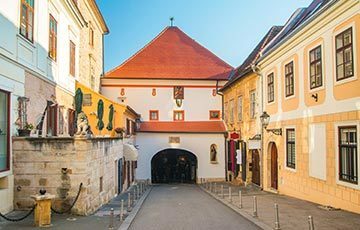 What can you see and do at Zagreb 360°? Enjoy in a relaxed and pleasant atmosphere while you look at the urban landscape. 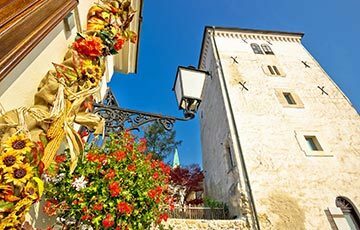 You will experience unique views of Ban Jelačić square, Manduševac fountain, Upper and Lower town. With your ticket, you can visit as many times as you want. Perfect at night! The observation deck is wheelchair accessible. 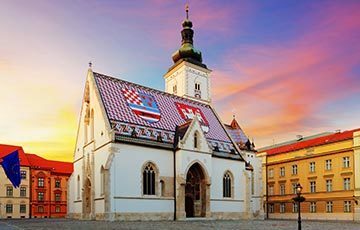 How to get to Zagreb 360°? From the Ban Jelačić Square look up towards the west and you will see the Zagreb Ilica Skyscraper. At the corner of Ilica and the High-Rise Passage, you will see the main entrance. Tickets are sold at the Viewpoint’s reception desk on the 16th floor. Tickets are valid the entire day but are not transferable.